Primary challenges of facility management include providing power and cooling, ensuring uninterrupted service and monitoring the environmental conditions in the data center. 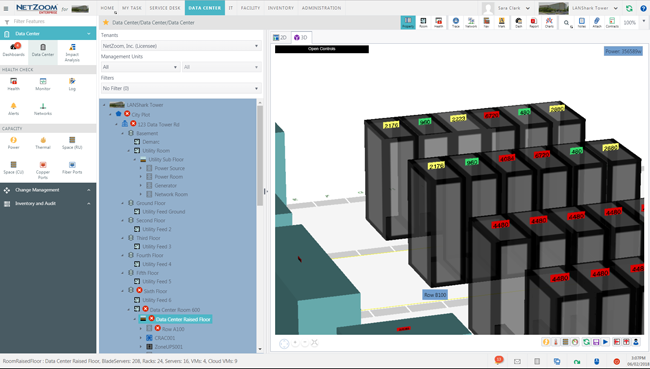 NetZoom™ provides complete visibility into data center facility infrastructure. NetZoom is powered by Intel DCM for alerts, alarms and real time monitoring of power, temperature, PDU and UPS health. NetZoom also gathers environment data from sensors and power metrics directly from intelligent PDUs. 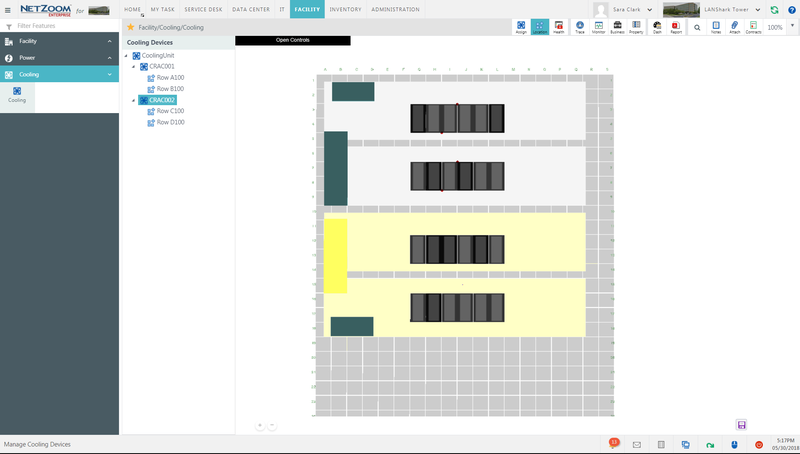 NetZoom provides a top-down look at the dependencies and relationships to provide insight into the inner workings of data center infrastructure for effective management and improved efficiencies. Historical analytics combined with real-time threshold-based monitoring enables a predictive and proactive approach to preventing downtime. Understand the real-time power load, trends, and capacity at all levels of the infrastructure. NetZoom harnesses intelligent power strips, Smart, Metered, Switched and Monitored PDUs to get power consumption metrics for threshold monitoring, balancing power and planning Add and Moves. Power Monitoring helps identify underutilized servers and ghost servers which can be eliminated to reduce power consumption. Temperature is measured throughout the data center. Users can use impact analysis to know which racks and devices are affected by a cooling event. Real-time data can be viewed interactively in 3D. Choose the real-time capacity values to display Power, Temperature, Space. 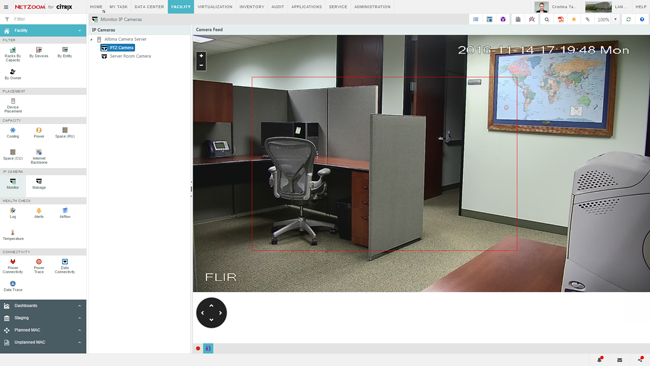 NetZoom enhances data center physical security by Monitoring the environment uses IP Cameras. Users can View live streaming and Record video from multiple cameras simultaneously.